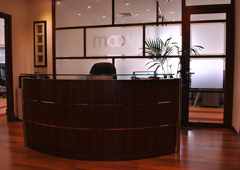 Moov provides the complete solutions for all kinds of floor applications & raised access floor systems for various requirements for Offices, Plazas, Hotels & Resorts, Shopping Malls, Banks, UPS & server Rooms, System rooms, Control centers ,Dams, Power plants, Substations, Signaling rooms, Railways, Metro systems, Laboratories, Airports, Educational institutions, Internet Browsing Centers, Studios, Radio Stations which require frequent modification of flooring sections ,Fair and Exhibition areas, Showcases, Stores are the various applications for raised floor systems. Moov aims to provide the best quality and customer service for our clients and focus on the highest standards on the projects execution. Our Vision is to be the first choice for our clients worldwide wherein we focus on trust, openness whilst embracing innovation and sustainability. MOOV understands the value and importance of being a responsible company, which consistently delivers the best solutions with its products and services. We intake projects on various industries and have good relationship with clients around the globe . We are able to deliver quality in the walls and floor requirements based on the various options to projects, interiors and end-users committed to high levels of environmental performance in a practical and product-oriented manner. We are very much focused on the global market and never compromise on the quality concern implemented on the projects.